If you’re looking for shipping containers, the first thing you should consider is whether you want a new or used unit. 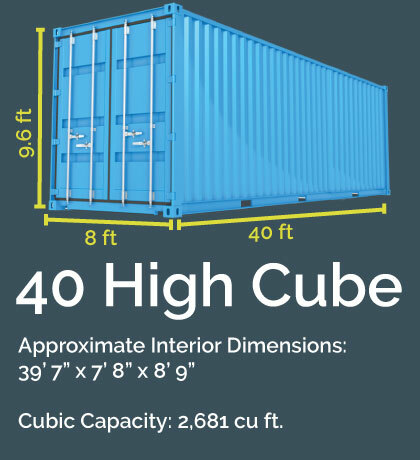 You can decide whether you need a new or used shipping container depending on what you want to use your shipping container for and what your budget will allow. Typically a newer shipping container will cost you more upfront but allows you to customize it to however you want it to look and function. 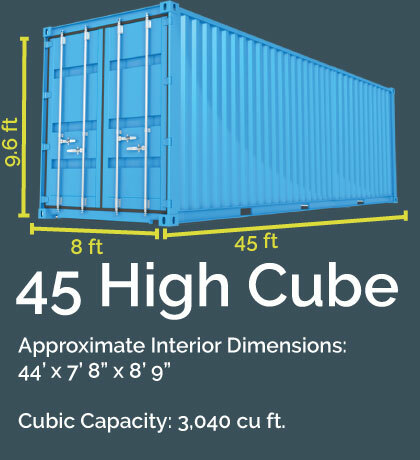 Manufacturers can create a new shipping container to your specific needs, whether that be size or shape. They can also add any customizations, for instance, if you want wooden flooring in your shipping container home, they can install the flooring while building the container, saving you time once you receive the container. Lastly, you will get a guarantee with a new shipping container so that if your paint corrodes, etc. then it will be covered by the manufacturer. Where as used shipping containers are more affordable and also eco-friendly. 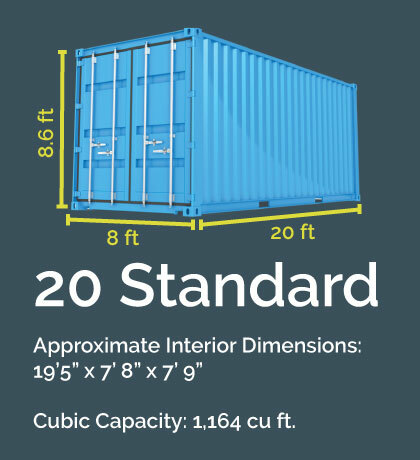 When you purchase a used shipping container, you’re keeping one more container from rusting in a landfill. Some governments also offer tax breaks for a green, or recycled, house or building. While most new shipping containers take longer to ship, you can find used shipping containers all over the world or close by so that the shipping time is much less. Every day there are millions of shipping containers sent across the ocean and roughly 14 to 19 million stay at port and are unused. With both new & used shipping containers you will run into disadvantages. 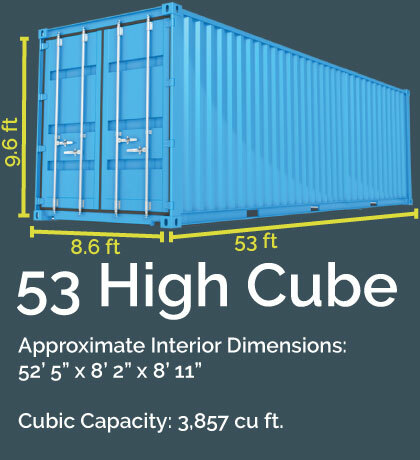 A new unit could take a long time and a greater investment to ship to you where as used containers are more accessible. But a used container may have rust or other damage from pesticide chemicals sprayed on it during travel. There isn’t a correct choice when deciding between new and used. Each application of use is an individual decision. Just know, we can obtain exactly what you are looking for – new or used! 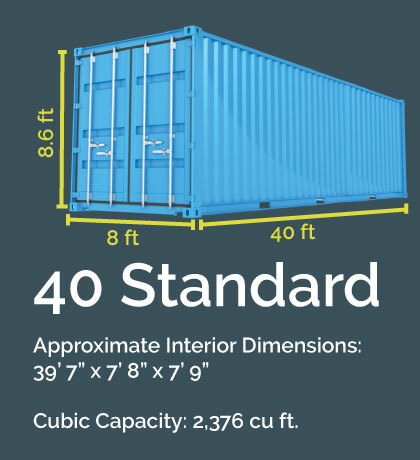 Containers are available in a variety of different sizes. The following are our most common sizes available..